With access to more than 25 untouched lakes, we can create your ultimate fishing fantasy. Choose from conservation limit or catch and release lakes (keep conservation limit to eat but no take home fish) and let us know what species gets your heart racing. 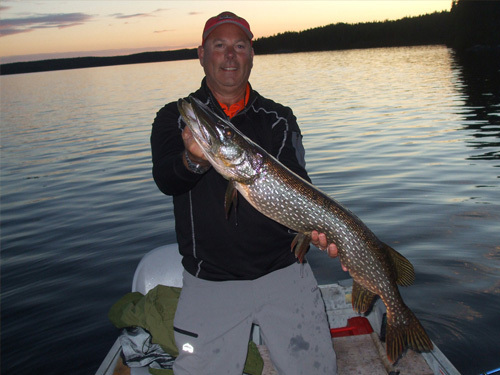 We’ve got it all, including northern pike, muskie, smallmouth bass, trout, perch and walleye. And if a day trip to paradise just isn’t enough, we’ll raise the stakes and drop you off for a once-in-a-lifetime extended stay. Our camping packages offer legendary fishing by day and an otherworldly experience at night. You’ll never forget sleeping under an infinite blanket of stars in Northwestern Ontario, where the silence is deafening.